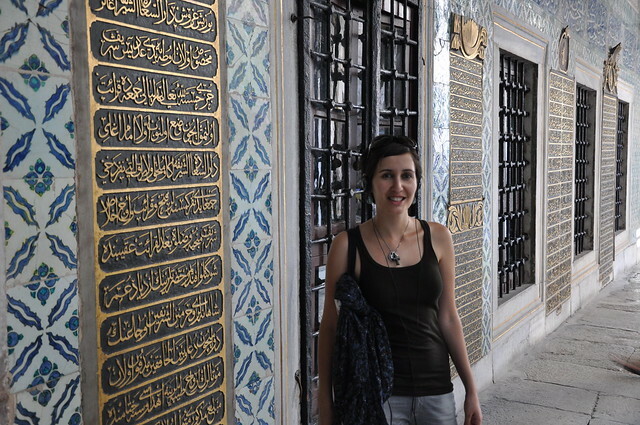 Topkapi Palace was the home of the Ottoman Sultans between 1465 and 1830 – just under 400 years. The Ottoman Empire was a powerful one – at its peak it spanned from Hungary in the north to Somalia in the south, and from Algeria in the west to Iran in the east. 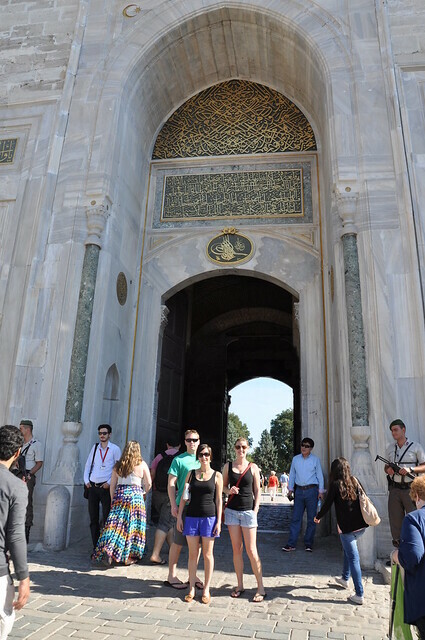 The palace at its largest was home to as many as 4,000 people and contained mosques, a hospital, bakeries, and a mint. As well as a royal residence, the palace was a setting for state occasions and royal entertainments. 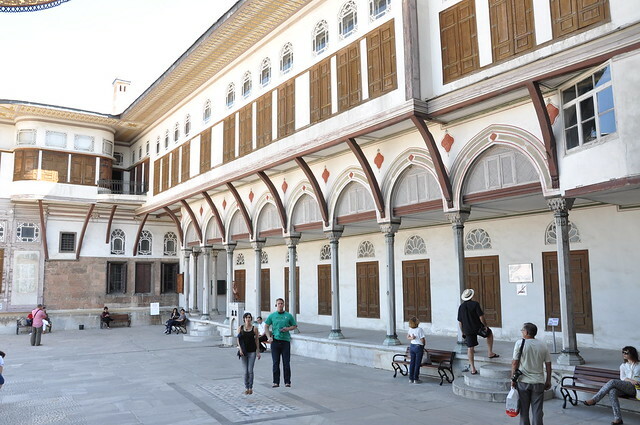 Following the end of the Ottoman Empire in 1923, it was transformed into a museum of the imperial era. 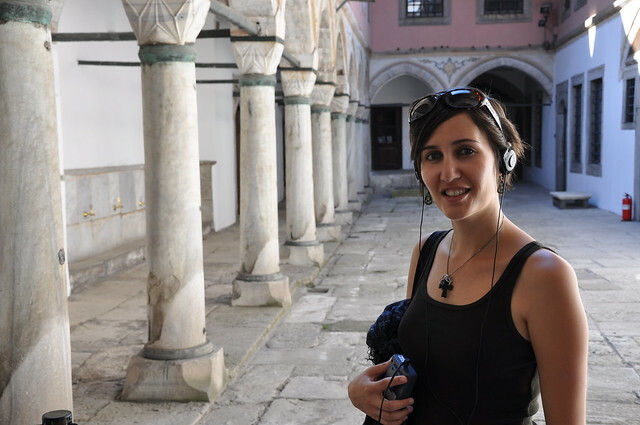 We were most interested in seeing the Harem where the Sultan’s many wives and children lived and grew up. We headed straight there first. The harem was a large part of the palace, containing over 400 rooms. It was home to the Sultan’s mother, the wives and concubines of the sultan and the rest of his family, including children and servants. The harem were guarded by eunuchs – castrated men who wouldn’t sully the wives and concubines of the sultan. 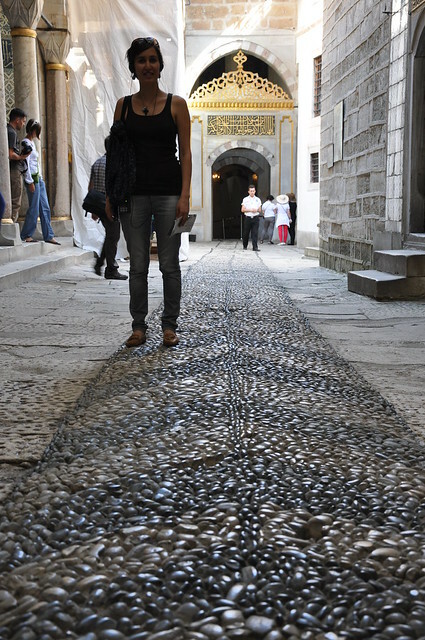 They had their own residential area and courtyard that visitors had to go through to access the harem. It has lovely decorations for what was a servant area. 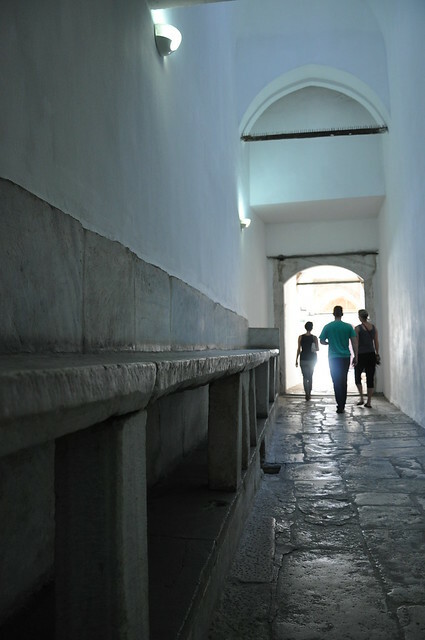 Before you can step into the harem itself, you had to go through 2 gates and down this dim passageway. This was also where all the harem’s food was delivered so eunuchs didn’t interact with the women directly. The first residential area inside the harem is the concubine chambers, but unfortunately, we couldn’t go into their chambers. The concubines were chosen at a young age to be trained. They spent their entire lives learning to sing, dance, play musical instruments and learn multiple languages for the entertainment of the Sultan and his court. The concubine who shared the Sultan’s bed became a member of the dynasty and rose in rank to attain the title of the Favourite, one of the Sultan’s Consort and the Queen Mother. The Queen Mother wielded great power in the palace, running the Harem and ruling the members of the dynasty. 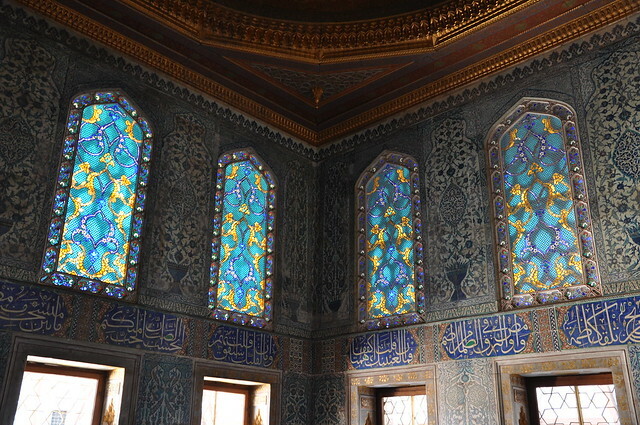 Her apartments, together with the Sultan’s, form the largest and most important section of the harem. The tiles, fireplaces and decorations are stunning. The Queen Mothers Courtyard is surrounded by all the buildings of the harem arranged in hierarchical order, from the Sultan himself, to the Queen Mother, to the Consorts and so forth. Consorts who bore children to the Sultan formed a group who were next in rank to the Queen Mother. These children would all be princes to the Sultan. When a sultan died, his sons had to fight each other for the throne until a victor emerged – “survival of the fittest, not the eldest son.” Brutal! 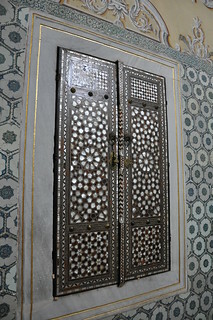 Some of the Sultan’s apartments were open for visitors. 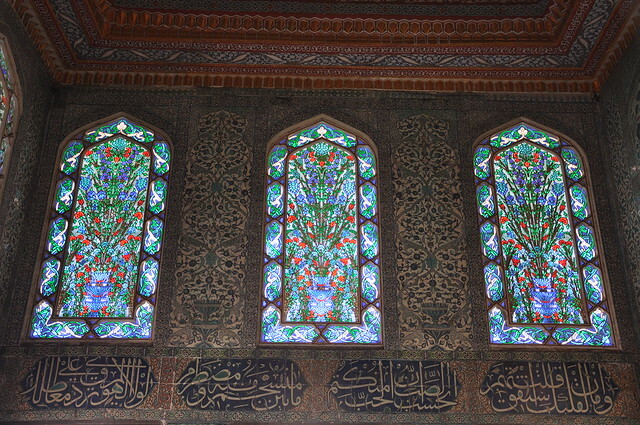 They built themselves grander and grander apartments in the harem with stunning tiles and stained glass windows. 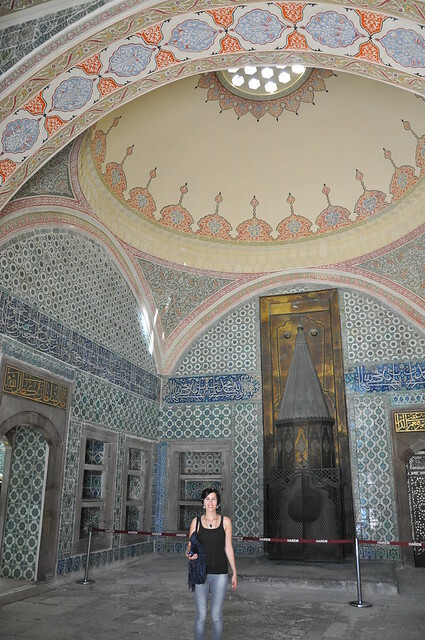 The rooms were modest in size, but exemplary examples of Ottoman architecture and style. Amazing. 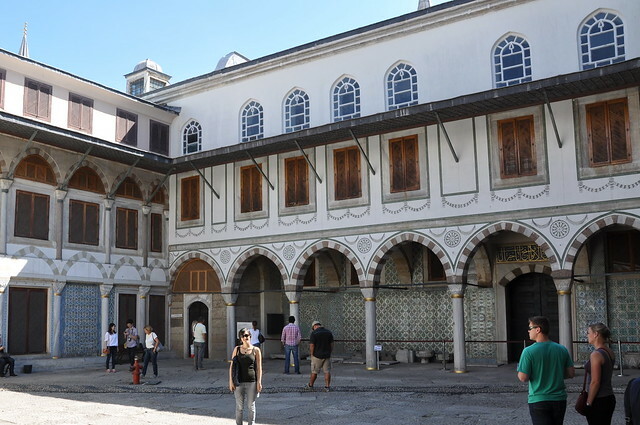 The Courtyard of the Favourites overlooks a large (dry) pool and a green garden, but more importantly houses the apartment of the Sultan’s Favourite Consorts. When a consort became pregnant, they assumed the title and powers of the Official Consort of the Sultan. Their sons would become princes to the Sultan – so long as he didn’t tire of the women. Legend has it that Ibrahim the Mad had his entire harem of 280 women tied in sacks and thrown into the river Bosphorus when he tired of them. So cruel! 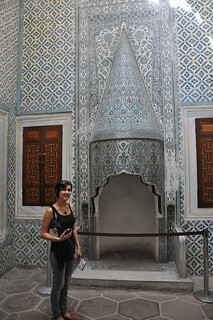 The Harem was brilliant – exactly what we expected from the residential part of the palace. Unfortunately, the next 2 areas we went through in the palace, we couldn’t take pictures of! 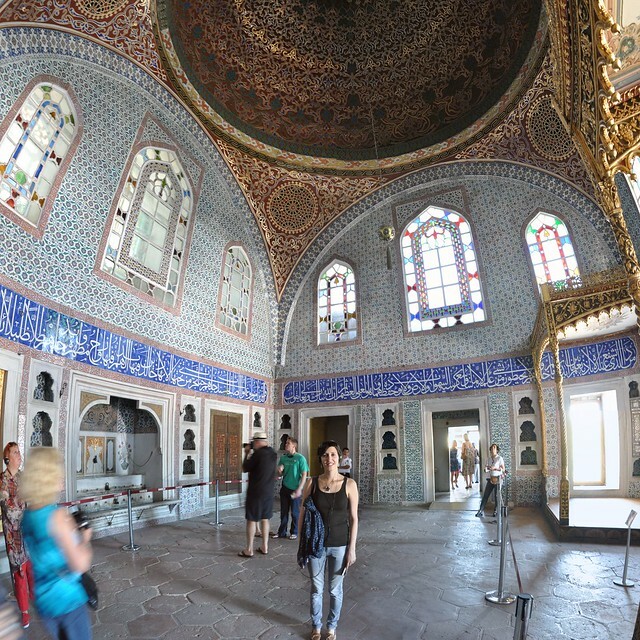 There is a whole museum containing important holy relics of the Muslim world, including the cloak of Muhammad, two swords, a bow, one tooth, a hair of his beard, his battle sabres, an autographed letter and other relics. Muhammed was born 570 CE and died 632 CE – over 2000 years ago. He was responsible for unifying Arabia under a single religion, Islam. He was believed by Muslims to be a prophet of God and the restorer of an unaltered original faith of Adam, Noah, Abraham, Moses, Jesus, and other prophets. A pretty important guy! You also couldn’t take any photos of the royals jewels in another part of the palace either. Ah well. 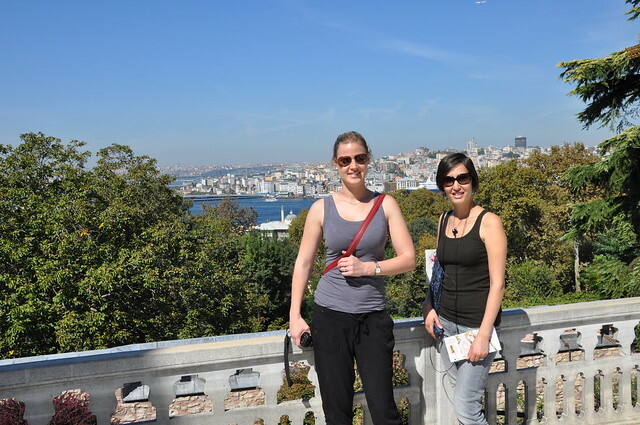 The palace is beautifully perched on a peninsula with views of half the city and both the Golden Horn river and the Bosphorus strait. Stunning. The palace is really a stunning tourist attraction with so much glamour and history. 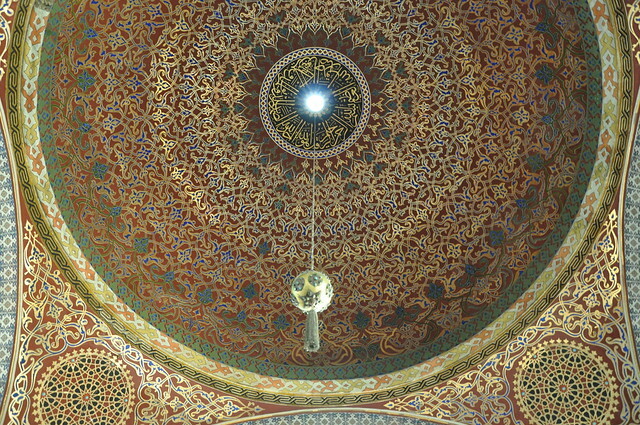 The Harem was definitely the highlight for us but the rest of the palace is amazing too, even if we didn’t really photograph it. Definitely get an audio guide, it was worth the money. 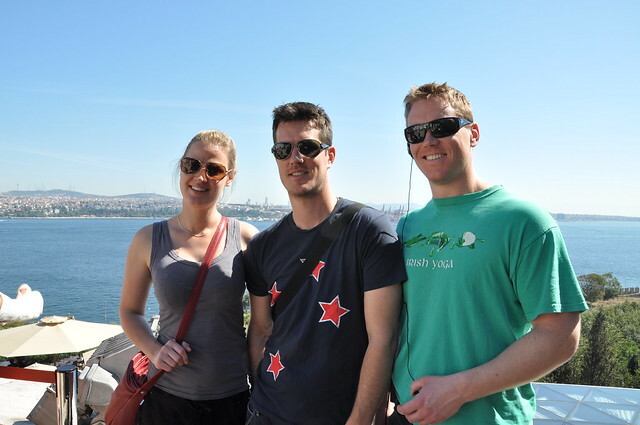 The record of our trip to Istanbul is almost at an end. It’s been such an amazing trip, but there’s just a little more to show you.